Chobe National Park is renowned for its large herds of elephant that frequent the Chobe River on a daily basis. In the dry season an estimated 85,000 elephants make Chobe National Park their home, mainly in close proximity to the river. However, Chobe is also home to a plethora of other African wildlife. Game drives offer regular sightings of lion, leopard, buffalo and a whole host of antelope including sable, puku, kudu, eland and roan. 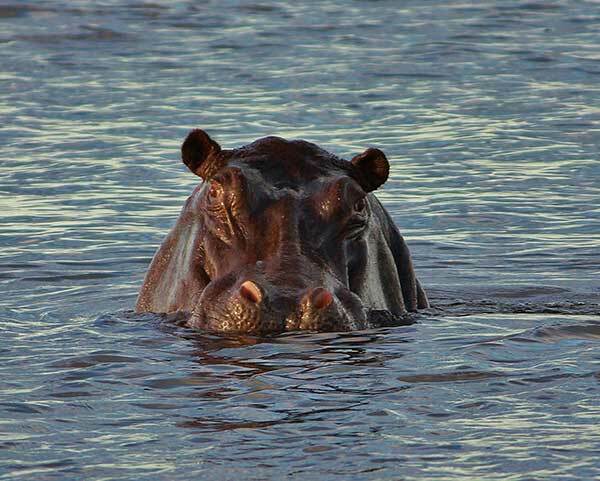 The river offers up its own incredible sightings of huge pods of hippo grazing on the swampy islands interspersed with some of the largest crocodiles in Africa basking themselves on the extensive flood plain and open sand banks. Chobe National Park is also an ornithologist’s paradise – the banks of the river are lined with the nests and holes of some of the most colourful and spectacular birds in Africa and a myriad of birds of prey call Chobe their home. This tour departs daily to the Chobe National Park in Botswana. Clients will be transferred by bus to the Kazungula border post. They will be assisted through customs formalities by the Wild Horizons driver before being handed over to their Botswana guide. Once they have been assisted through the Botswana border formalities, Chobe Marina Lodge is the next stop for a quick bathroom break and signing of indemnity forms. Guests will proceed straight to the morning cruise where they will spend the morning game viewing along the Chobe River. All the boats offer protection from the sun. The cruise will end at around 12h30 and clients will go back to the lodge for an extensive buffet lunch. The lodge is situated on the river banks overlooking the Chobe River and the Namibian shoreline. After lunch, guests will board safari vehicles for an afternoon game drive into Chobe National Park. After the drive guests will be taken back to the Kazungula Border where they will be met by their Zimbabwean guide for their return transfer to Victoria Falls. When considering attractions in Victoria Falls, keep in mind the magnificent Chobe National Park is very easily accessible and makes for a fabulous fun filled day! • 07:00 to 07:30 – Guests will be picked up from their hotel, in a closed bus, and proceed on a 70km journey on a tar road through Zambezi National park and designated safari areas to the Kazungula border. • 08:30 – Arrival at the Kazungula Border, where guests will exit Zimbabwe/Zambia and enter Botswana. At the border guests will change vehicles and are met by their Botswana guide. • 08:45 – Once guests have gone through Botswana immigration, they will take a short drive to Chobe Marina Lodge. • 09:00 to 09:15 – Arrival at the lodge, where guests will have a short bathroom break, and will also be required to fill out the Park Entry form. 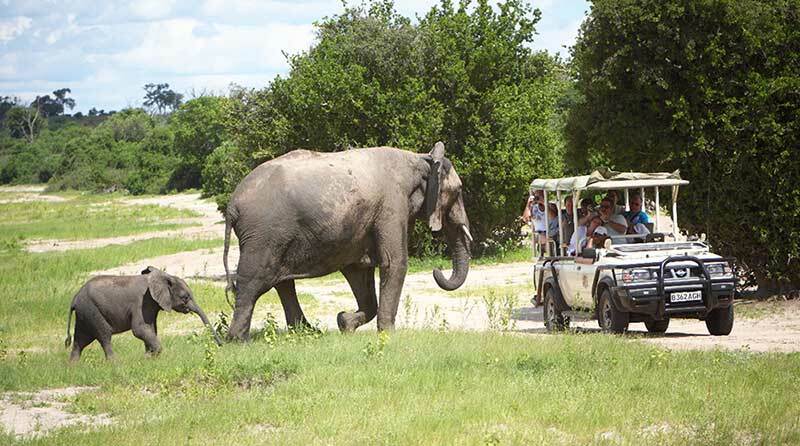 • 09:30 – Depart on guests’ first activity; EITHER game drive or boat cruise. If guests would like to go on a specific activity first, then they should please specify. Soft drinks, local beer and bottled water are provided on all safaris and river cruises. • 12:30 – Return to the hotel for lunch. This will be served a buffet style lunch, with a selection of traditional and modern day meals to choose from. • 13:30 – Depart for guests’ second activity. This will be either a game drive or a boat cruise, depending on what activity the guests did in the morning. • 16:00 – Return from the Park and head back to the Kazungula Border to proceed with border formalities. • 16:30 – Guests will meet their Wild Horizons bus and are transported back to their hotel. • 17:30 – Arrive at guests’ hotel. Age Restrictions: Children 2-11 years are half price, over 12 pay full price. Botswana requires an unabridged birth certificate for all minors travelling to Botswana (this has been in effect since October 2016). *Please note that a normal birth certificate will not be accepted. Minimum age: We accept children younger than 2 years but on a private trip basis. Please note: the order of the activities are subject to change without prior notice. I recently had the opportunity to go on a Chobe Day Trip from Victoria Falls (It can also be taken from Livingstone). This tour departs daily to the spectacular and game-filled Chobe National Park in Botswana. You are collected early- around 7 am and transferred to the Botswana border. Here we were met by our Botswana Guide. We went straight to the Chobe river for a cruise. The wildlife watching on this cruise can only be described as truly exceptional! We returned to shore at 12:30 for an hour of lunch (a great buffet that I over-indulged in!) before we departed- this time in a vehicle to see the park by land. 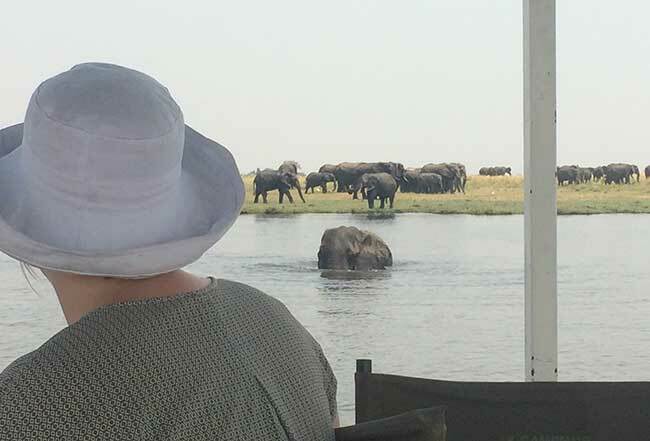 The Chobe landscape and sheer number of animals is amazing. Some experiences are hard to put into words so I have put together a gallery of this must-do. After our game drive,we were taken back to the border for our return transfer to Victoria Falls. Sunscreen is a must! It can be very warm in the afternoon. Dress comfortably and with layers you can easily peel off as the day warms. Charge your camera batteries and empty your memory cards! This trip is a photographer’s dream! You can also do this trip as a half day- either the boat cruise or the game drive departing in the morning or afternoon. My pick would be the boat cruise- there’s something very special about it.